South Korean international Ki has signed on the dotted line at Scottish giants Celtic. 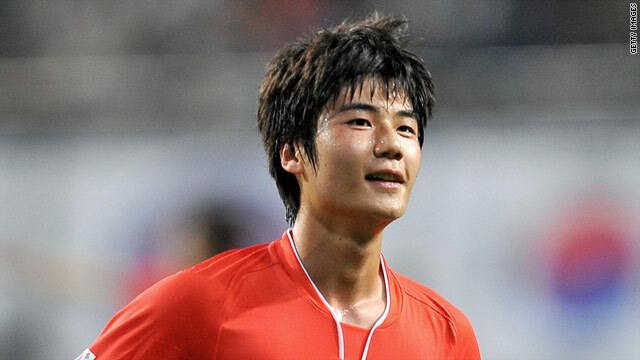 (CNN) -- South Korea midfielder Ki Sung Yueng has signed a four-year contract with Scottish giants Celtic, the club have confirmed on their web site. He will join the Parkhead club at the start of 2010 in a deal reportedly worth $3.6 million, having secured a work permit ahead of the January transfer window. The 20-year- old Ki is the Asia 2009 young player of the year and has been linked with a number of leading European clubs. He has played 17 times for South Korea and appeared in all the country's qualifying matches for next year's World Cup in South Africa. "I am absolutely delighted to sign for Celtic, a football club with a tremendous history and one which is known throughout the world," Ki told www.celticfc.net. "I know that Celtic has some of the best supporters in the world and I will be doing all I can to show these fans what I can do." Celtic manager Tony Mowbray added: "We are very pleased to announce the signing of Ki and we are sure he is a player who has the potential to make an impact at Celtic." Ki will join a Celtic squad who have enjoyed a mixed season with an early exit from the Europa League. But Saturday's 3-2 victory at Motherwell registered their fourth win in a row for the first time this season, which kept them two points clear of Old Firm rivals Rangers at the top of the Scottish standings.